Glamping Time. Who wouldn’t love to glamp? The days of camping in a tent have been long gone in my vocabulary but this is definitely camping in style. We love our job! Sometimes we actually get to play too. 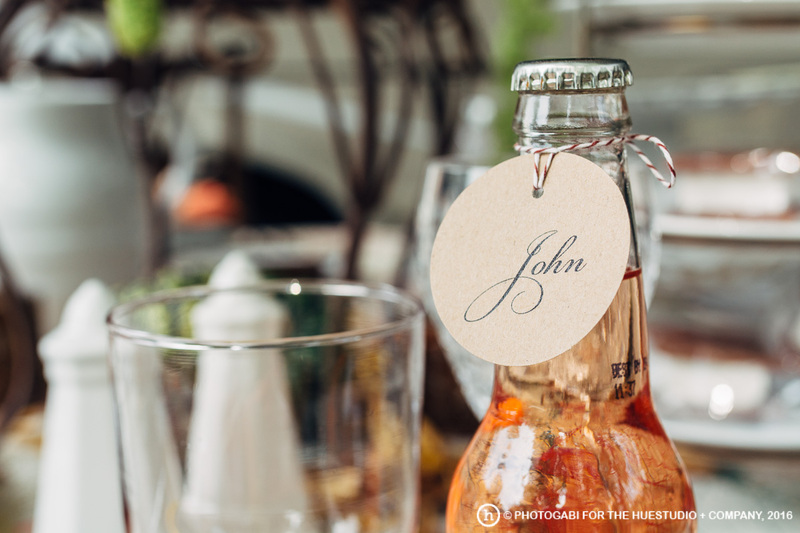 A few weeks back we loaded the car with some Sister Dish items and some menu ideas and headed to a private home in the suburbs of Chicago to meet our friend Jeff with The Huestudio + Co and photographer Gabi of photogabi. 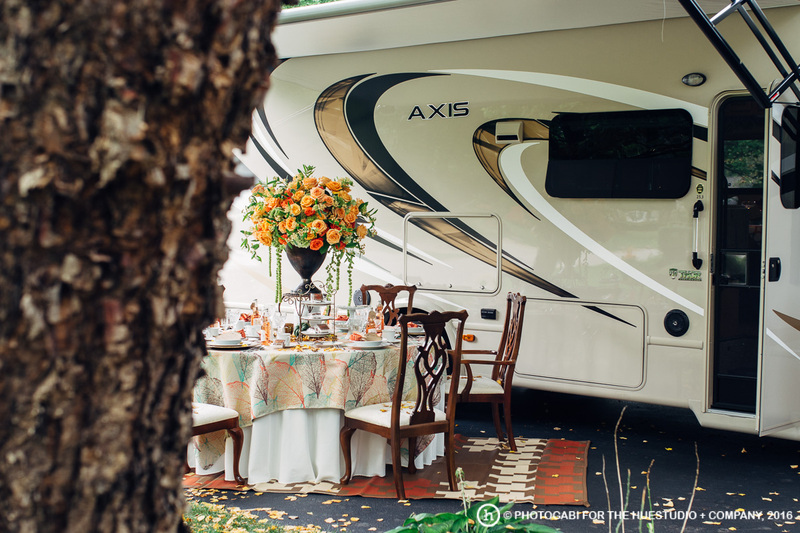 We set up several vignettes in Libby and John’s lush yard to “glamp” in style. 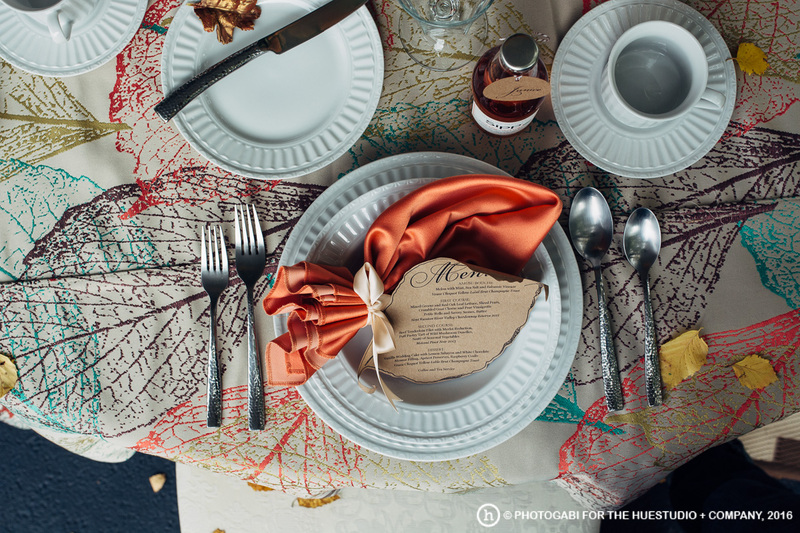 Using the beautiful linen from Over the Top Linens it truly set the tone for the front RV tablescape. 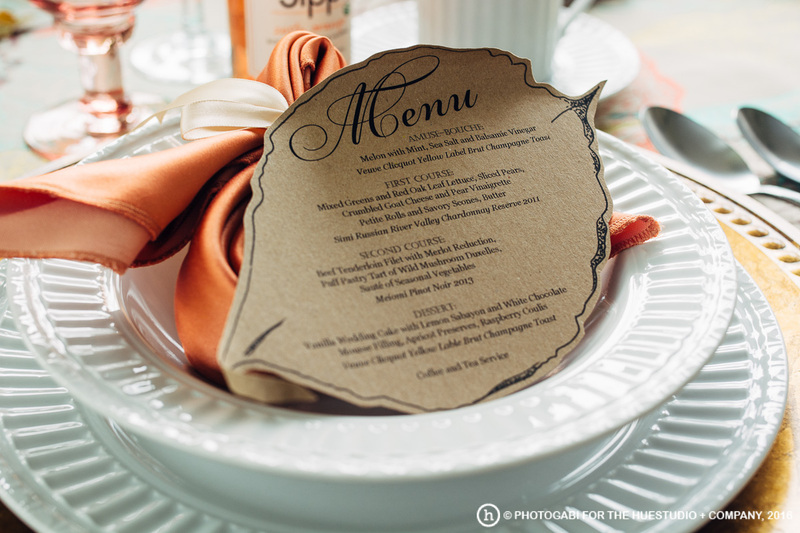 Using matching ribbed white dish ware and a hammered flatware just gives you the feeling of class with a touch of wilderness. Love the textures! Even when you try to make something happen…sometimes mother nature may not cooperate. This day while we were glamping, the weather was beautiful and sunny. 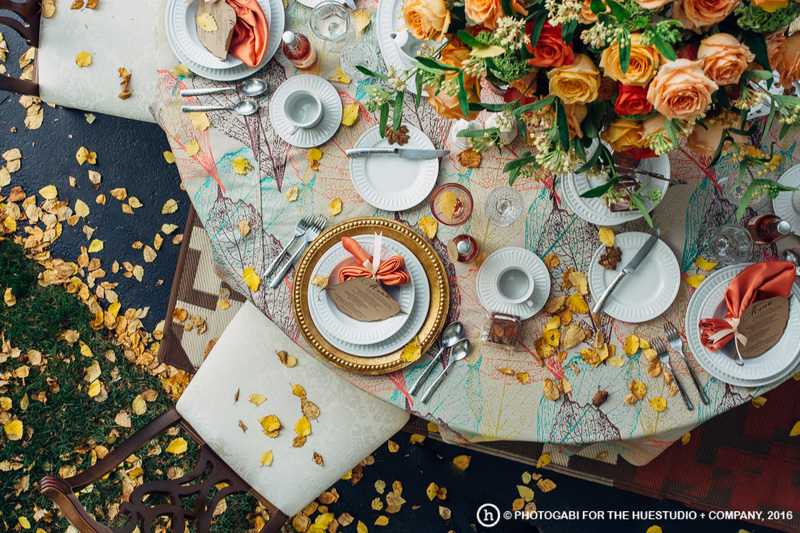 As the awning was pull back to take more over head photos the leaves that had fallen on the the canopy began to fall all over the tablescape as if the trees were shook and nature did it all by itself. Sometimes life is just perfect! I say it again…Who would not LOVE to dine here? The floral piece just puts it over the top for sure from The Flower Studio with all of the shades of coral, peach and orange a true fall feeling. Glamping Time in its richness!